Server Management - Complex server management need not be a burden - multiple support options available. 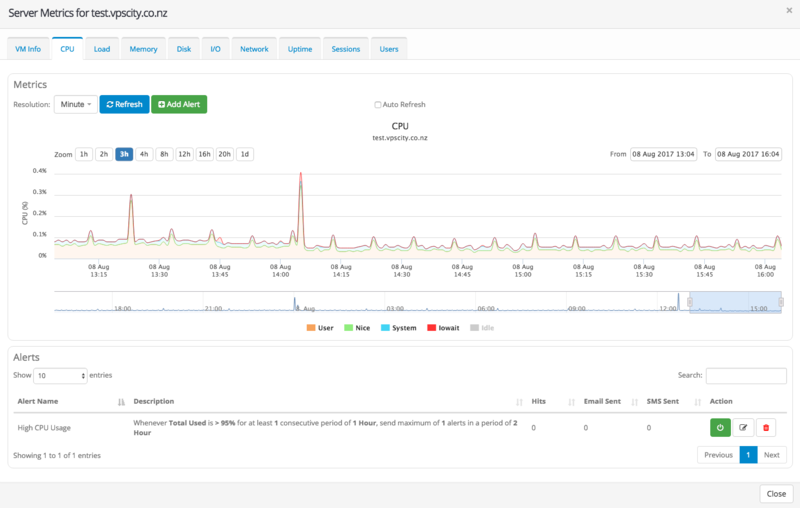 Server Monitoring Tools - Our client portal provides easy to use server tools such as Server Metrics, Bandwidth Usage, Backups and Firewall management. WHM/cPanel - Combine WHM/cPanel with your VPS to make server management easier than ever. 24/7 Support - Help is always at hand with 24/7 support from our expert support team. Basic Virtual Private Servers : A balanced specification virtual server suited for most applications requiring a linux OS. Featuring rapid deployment, seamless scaleability and high availability. Optimised Virtual Private Servers : While still offering rapid deployment, seamless scaleabiliy and high availability, our Optimised VPS range offers you more specific specifications to suit your particular hardware requirements. 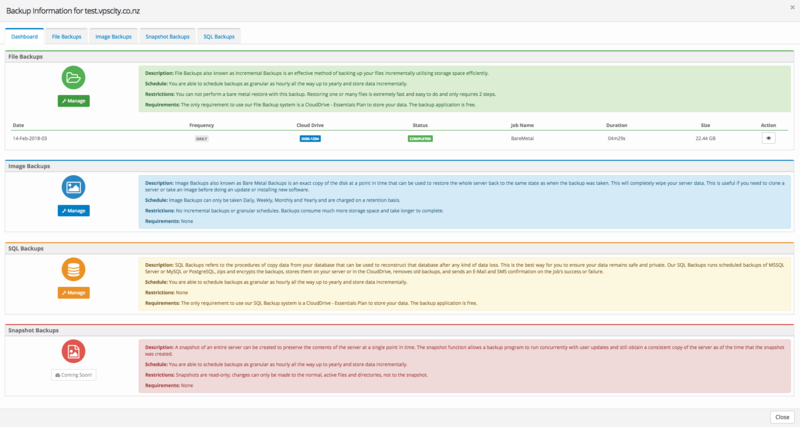 We will add your server to our monitoring system and monitor any ports and protocols that you require. We will gather historical data and graphs for whatever we monitor and make them available to you at any time. All alerts will be sent to you via SmS and eMail. Includes Managed Firewall, Managed Daily Backup (3 retentions - backups only apply to VPS and Cloud Servers all other servers are excluded) and 24x7 Monitoring with SMS and eMail notifications. We will manage a firewall to protect your server from the Internet and open any ports or protocols that you require. Fantastico enables you to quickly install dozens of the leading open source content management systems, blogs, ecommerce programs, mailing list managers, surveys, support systems, billing software, discussion boards, project managers, wikis, website builders and more into your web space. Softaculous is the leading Auto Installer having 288 great scripts and 1115 PHP Classes. Softaculous is widely used in the Web Hosting industry and it has helped millions of users install applications by the click of a button. 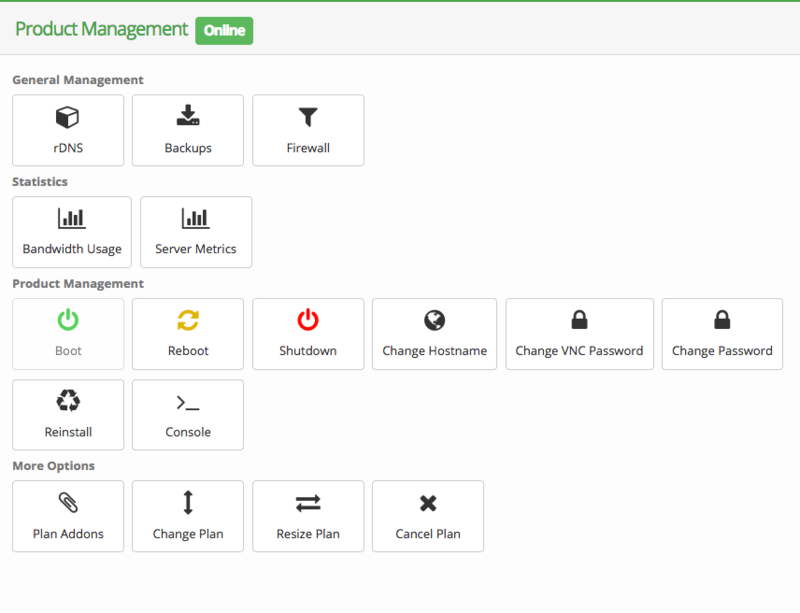 Softaculous easily integrates into leading Control Panels like cPanel. SiteBuilder is browser based sitebuilding software that installs directly into cPanel. Its easy-to-follow workflow, social media plugins, and robust content management features makes it easy for even non-programmers to create, market, and maintain a high-end web presence. * All prices are in New Zealand Dollars (NZD). * All products are Exclusive of GST. A feature rich web based control panel offering boot, reboot, re-install and console options among other powerful features, provides you control of your VPS via a browser, while all servers are supplied with root / administrative access ensuring you full control of your VPS at any level. Get up and running within seconds by selecting your preferred flavour of linux from our available selection. Should you require an operating system other than what we have available, ask one of our experts to custom install your prefered OS. Our VPS servers are resizable, SSD powered virtual machines giving you the option to deploy the resources you need now and seamlessly upgrade at any time in the future. The following additional features are also included with each server and can be accessed from within our client portal under the server detail section. 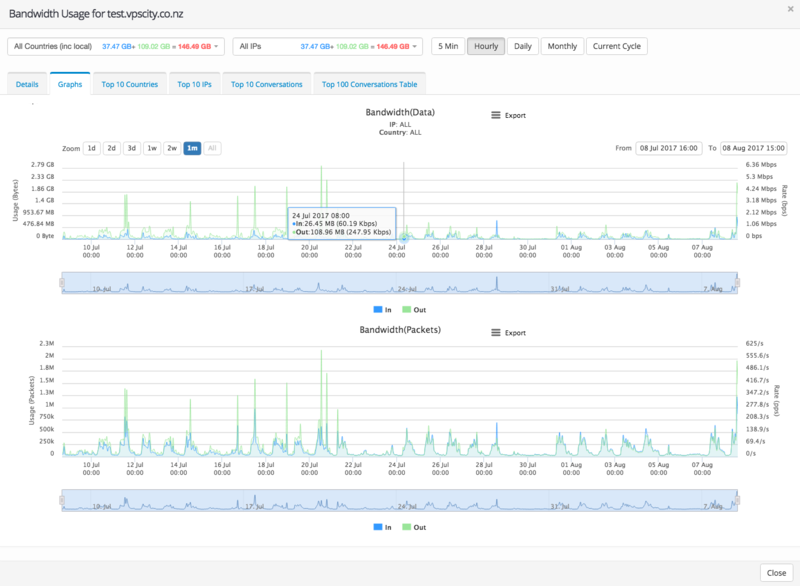 VpsCity now enables you to monitor and track important server resource usage information (CPU, Memory, Network, Disk, Load, I/O, Uptime, Sessions and Users) and you are also able to set notifications and actions based on metrics via our Server Metrics tool. 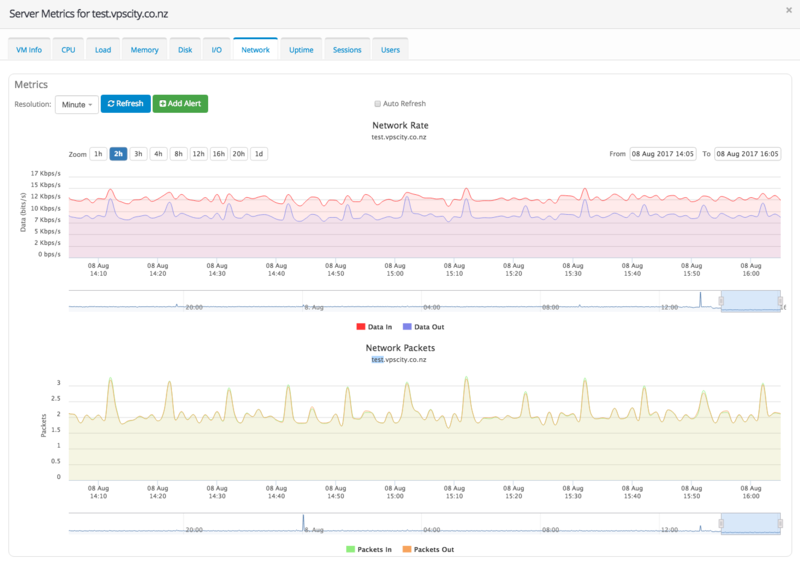 Our Bandwidth Usage monitor helps you understand how much data flows across your network. You can access statistical and graphical information to further investigate all bandwidth usage. You can top-up extra bandwidth if needed via Bandwidth Usage tool. 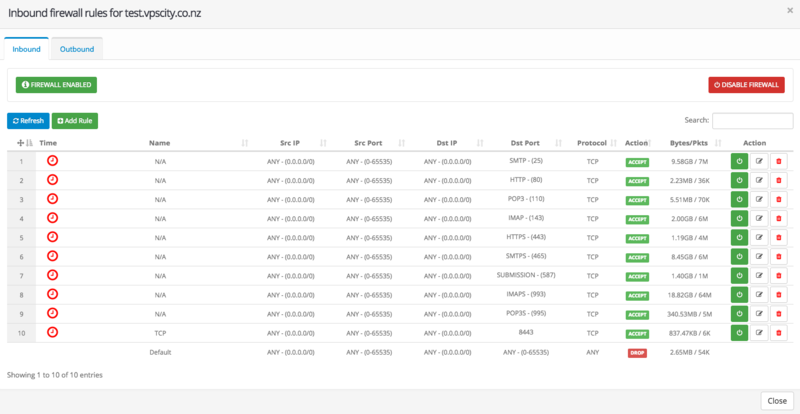 The VpsCity Advanced Firewall offers an intuitive and comprehensive cost-effective solution to keeping your server safe. 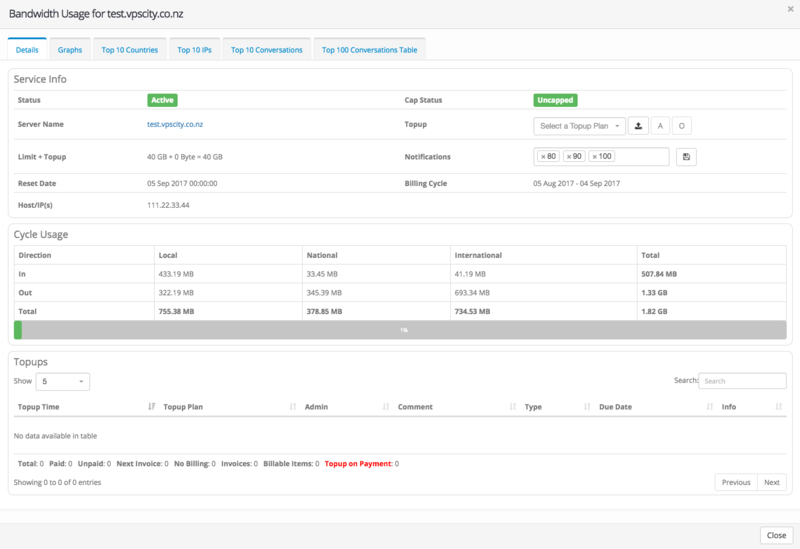 You can add firewall rules for outbound and inbound connections as well, making the firewall bidirectional. The VpsCity Backup System offers easy to use File Level Backups, Image Level Backups and Snapshot Backups for your server. You can schedule backups as granular as hourly all the way up to yearly and store data incrementally. Our backup system provide single click server restore process and alert notifications for success or failed backups. Our SQL Backup system provides an essential safeguard for protecting critical data stored in your SQL Server databases. You need to back up your databases to preserve modifications to your data on a regular basis. Our DNS management makes it easy to manage and secure your DNS to improve performance, accessibility and security by placing your DNS information on our Premium global network. IPv4 Addresses assigned to the Virtual Private Server. IPv6 Addresses are available on request. Server disks are configured with Hardware RAID for disk performance and redundancy. All our NZ VPS Servers are hosted in our Auckland data centres. Full root / administrative access and control is given to all our Virtual Private Servers. Our Cloud Servers are powered by HP and Dell Enterprise Class Servers. Daily, Weekly or Monthly image backups are available to all Virtual Private Servers. The amount of network traffic that can be used by the VPS within New Zealand (100 Mb/s). The maximum speed of network that can be used by the vps server Internationally 100 Mb/s or 1 Gb/s.. There is no setup fee for any of our Virtual Private Server plans. All servers are monitored 24x7 and immediate action is taken if a problem is detected. Our Plans are designed for small businesses to mainstream servers that require processing power for applications or databases. 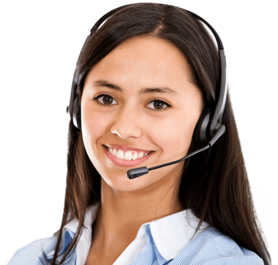 Include the standard 99.9% up time guarantee, 24x7x365 technical support with a 30mins average response time and a 30 day money back guarantee. While a "do-it-yourself" server usually provides you with a cheaper line item, you are also responsible for updating and patching your server every step of the way. We offer both fully-managed and semi-managed VPS plans in order to best meet your needs. Our semi-managed plans do not include a hosting control panel, but do include our assistance with any hardware, operating system, or basic configuration issues. Our fully-managed plans include our assistance with just about any issue or configuration request you may have, outside of custom software/script installations. Our VPS Hosting plans all come with a high-availability feature that essentially takes your VPS container, and empowers it with a cloud infrastructure. How does this work? We put a premium on your server's uptime, so we created an infrastructure of redundant hardware clusters that provides your partition with real-time redundancy. If for some reason there is an error on your server, there is another server in the cluster with that backup information ready to spin up. We utilise Virtuozzo, a virtualisation solution built on top of OpenVZ. We have data centres in New Zealand & Australia and allow you to choose which data centre is closer to your physical location and customer base. These data centres serve our customers around the world and includes service from premium bandwidth providers and advanced routing technology to ensure your sites are served quickly. Our VPS is completely Customisable and can be upgraded any time as your site grows. Full root access allows you total control, as well as the ability to install advanced software and completely customise your hosting environment. It truly is dedicated functionality without the expense. One of our top VPS Hosting features is that all of our servers utilise solid-state drives (SSDs), which provide increased performance over standard hard disk drives (HDDs). Our SSD servers perform up to 20x faster than older generation HDD servers, giving you faster read/write speeds and faster delivery of your content to your end users. Customise your VPS servers with high performing processors that can enable your workloads to run faster and more efficiently while lowering overall cost of ownership. Configure your 2U or 4U server with up to four processors to deliver high performance for diverse workloads. Add up to 32GB of DDR4 RAM during initial deployment, or increase memory capacity during the life of your server to meet your business growth. With next generation DDR4 memory support, your overall memory bandwidth increases and is Optimised for your workloads. Upon purchase, you can request Secure Shell (SSH) and root access to your VPS container. If you are familiar with these technologies, you can utilise the administrative access to securely access your server and make changes using command-line. Root access allows you to install and configure server-wide applications, quickly edit files and much more. Optionally you can include cPanel/WHM license with our VPS Hosting plans, allowing you to use the industry-leading control panel to manage and organize your files, addon domains, email addresses and more. AES-256 Disk Safe Encryption can be enabled at the time of creation of Disk Safes for backup data. This aids in the protection of data stored in the backup server, and in protection of the data over the network so there is no need to use external encryption suites. 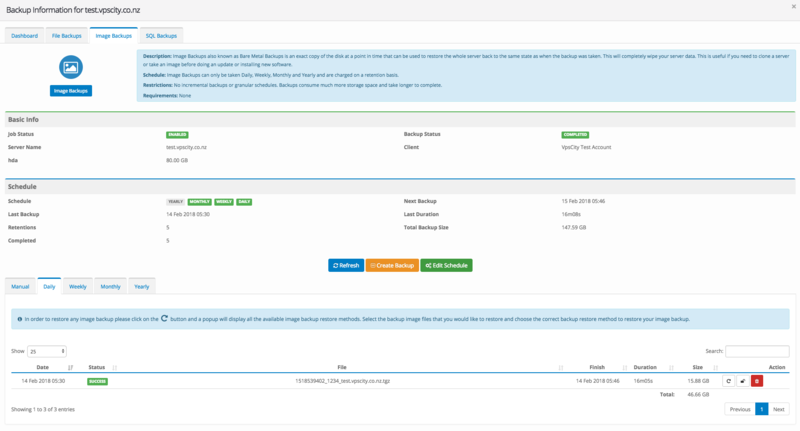 Manage servers with one web-based enterprise console. Browse and restore files instantly across all server backups using an Explorer-style interface. 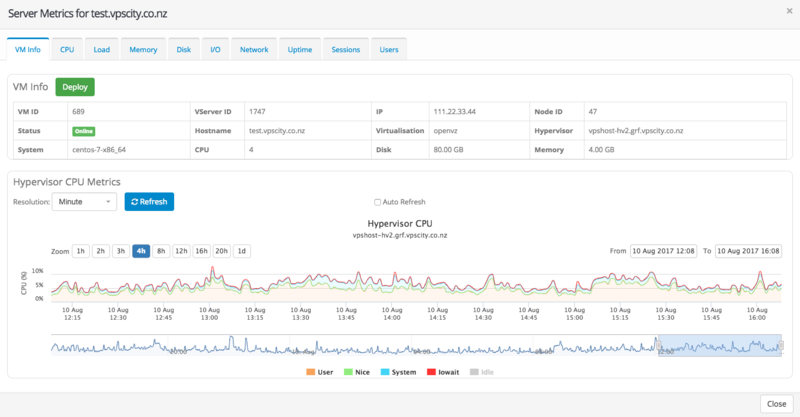 What hardware specifications does your VPS's run on? VpsCity's hardware nodes run on HP and Dell Enterprise Servers with 8 or 16 core Intel Xeon E5 processors and SSD RAID hardware arrays. SSD RAID provides disk I/O in excess of 1.2GB/s performance. Each hardware node contains up to 1TB of memory. If you require your Virtual Private Server to be backed up, we strongly urge you to subscribe to the service during the checkout process. We offer an extremely customisable backup program that is very affordable. Virtual Private Servers are full virtualisation servers so you are able to install most operating systems from windows to BSD. Think of Cloud Servers as dedicated servers with some added benefits. How long does it take to setup your VPS's? After you have ordered your Virtual Private Server and paid for it, it will be running within 30 seconds, ready for your use. What software can I install on your VPS's? As Virtual Private Servers operate like real dedicated servers there are no limitations to the applications that can be installed. The Cloud Server has full kernel level access and is not limited in any way, however some the following content is prohibited on our Cloud Servers: pirated software, hacking sites programs or archives, distribution of music files or any other material in which the user does not own the copyright, any other material deemed illegal by New Zealand law. Due to the nature of game servers and the unfortunate ability they have to attract DoS attacks, we unfortunately do not allow them on our network. We provide a predominant corporate network with many businesses running services and can not afford the disruption that DoS attacks bring due to gaming servers. What is the difference between container based virtualisation and hypervisor virtualisation? Hypervisor virtualisation mechanism emulates the hardware, you can run any operating system on top of any other, Windows on Linux, or the other way around. Both the guest operating system and the host operating system run with their own kernel. Containers are the products of operating system virtualisation. They provide a lightweight virtual environment that groups and isolates a set of processes and resources such as memory, CPU, disk, etc., from the host and any other containers.